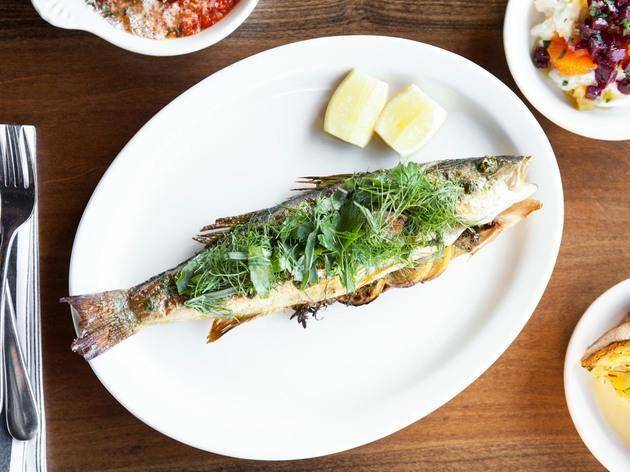 You may think you have a favorite Italian restaurant in LA, but if it isn’t Scopa Italian Roots, then you simply must give it a try. Venice Beach’s Washington Blvd. is a typical LA street with its many strip malls and eateries. Sleek and unassuming on the outside, Scopa’s dark building with large square windows stands alone near a marina. But as you walk in, you will quickly realize why it’s your new favorite. 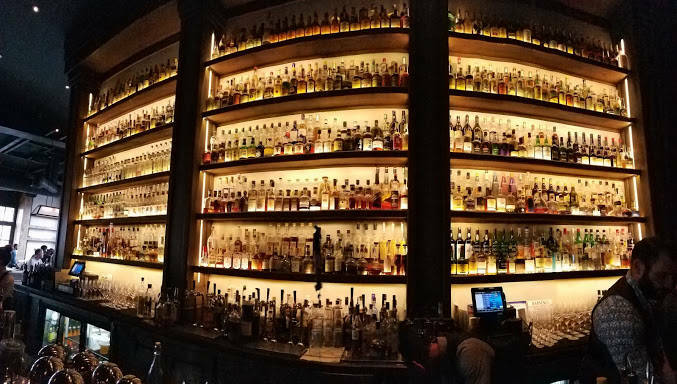 The gorgeous massive bar has bottles that stack up to the highest part of the ceiling. They’re illuminated by gold light and stand out against the charcoal colored walls. The waiting room is quaint and comfortable, but you may rath-er want to wait at the bar. Reservations fill up quickly, so dropping-in on a Friday after LA traffic could mean you’ll be waiting at the bar for a while. A little patience goes a long way because the food here is exquisite. Not only do the floor to ceiling windows provide stunning views of colorful sunsets, the way the chefs plate the food is almost as eye catching, if not more. 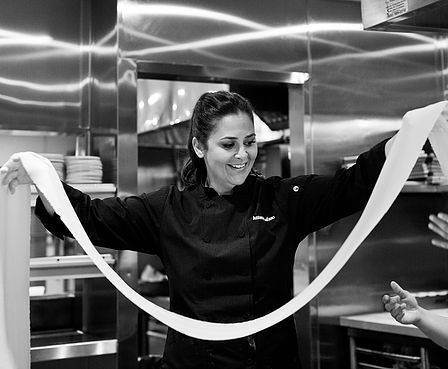 Executive Chef Antonia Lofaso provides her customers with motherly affection along with a fresh interpretation of old-school Italian food. She is an expert on finding the balance between fine dining and homey comfort food. She takes a classic Italian antipasto, for instance–fried zucchini flowers–and makes crisped-to-perfection fried squash blossoms, and you’re lucky she did! Not only do the simplicity of fresh ingredients compliment each other perfectly, but this neighborhood gem also brings people together with its timeless dishes. 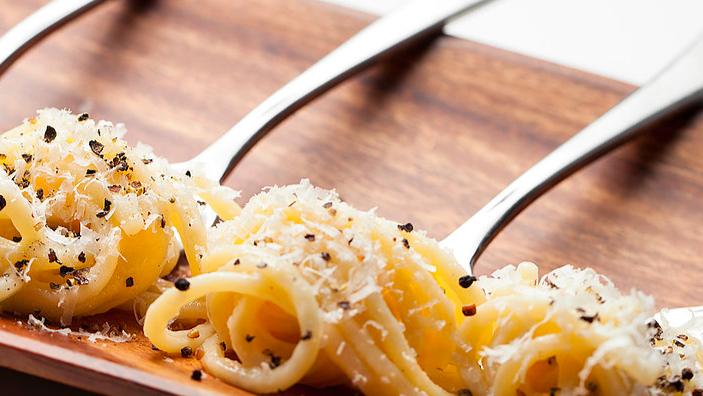 From the classics, like eggplant parmesan and rice balls, to more refined dishes, like linguine topped with braised pork cheek and ricotta salata, Scopa tries to satisfy every palate. While much of their influence is Italian, one dessert is based on a classic American school lunch–the fluffernutter. It’s a sweet rich blend of toasted marshmallow and peanut butter that will bring back nostalgic feelings of the easy days of elementary school. The trendy spot also offers a wide range of beverages from imported wines to creative cocktails and is currently featuring the Louis XIII De Remy Martin. Put the prosecco aside (just for tonight) and enjoy this Grand Champagne Cognac-80 proof that was created in 1874 and contains a blend of up to 1,200 eaux de vie, the youngest of which is 40 years old. So come to Scopa and enjoy the Italian American food that has pushed the limits of the LA dining scene for years.